Although overshadowed by your regularly scheduled terror attacks, as well as pre-debate effluvia, the media’s attempt to turn Donald Trump Jr.’s recent tweet into a cause célèbre for smug leftists is worth examining in detail. While some right wing pundits pointed out the similarity between his Skittles metaphor and a feminist-inspired meme involving a different chewy candy, the actual root of this analogy is the precautionary principle, a deeply flawed approach to risk management. The idea being that the introduction of a new product or process whose impact is unknown or disputed should be resisted. The problem is that the United States-and the West in general-has served as a treatment group for the effects of Islam for well over half a century. We already have an extensive body of data points which demonstrate that randomly dispersing skittles across the non-candy fruited plain is a terrible idea in practice. And even if you subscribe to the bizarre notion that experiencing a major terrorist attack every 4-6 months is an acceptable risk to ensure vibrant diversity, somehow forgetting that this is a deliberate, unnecessary risk introduced by our government, you’re making the assumption that this potential danger will remain static in perpetuity. The people who want to flood our communities with Skittles fail to appreciate the fact that these risks will only increase the more this country is filled with Skittles-and there is never the hint of a suggestion that we decrease either the quantity or the percentage of increase in the future. I’m sure the French once believed that welcoming emigres from their former colonies in Africa was a swell idea. Several decades later, more than half the prison population of that country is comprised of Muslims and their jails have become small scale replicas of ISIS training camps. The same holds true for the UK, as well as every other Western European nation with a significant Muslim population. If you want to get a picture of how this translates to the United States, take a look at Oregon, where there are now over 70 active terrorism investigations according to the FBI. There are over a thousand probes into individuals with possible links to the Islamic State, a single global terror network. Is it any wonder that jihadists are winning the intelligence war when we’ve armed them with the most precious weapon of all, i.e. access to our shores and our people? Yet we have to endure the censorious lectures of bloated UN leeches who believe that the problem isn’t the gross ingratitude of the West’s guests, but the handful of public figures willing to point out this unpleasant reality. The problem we’re facing is not a handful of cyanide-laced skittles. It’s a civilization having skittles, which they were never allowed to refuse, forced down its throat year after year. Forget about theoretical poisons. What if we simply don’t like skittles? What if we find skittles sickening, and get nauseous when we eat them? 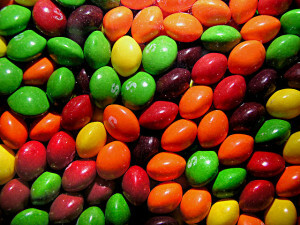 What if eating an endless supply of skittles ruins your dental health? Shouldn’t we be allowed to decline junk food? This entry was posted on September 25, 2016 at 11:54 AM and is filed under Analysis, News, News and Analysis. You can follow any responses to this entry through the RSS 2.0 feed.